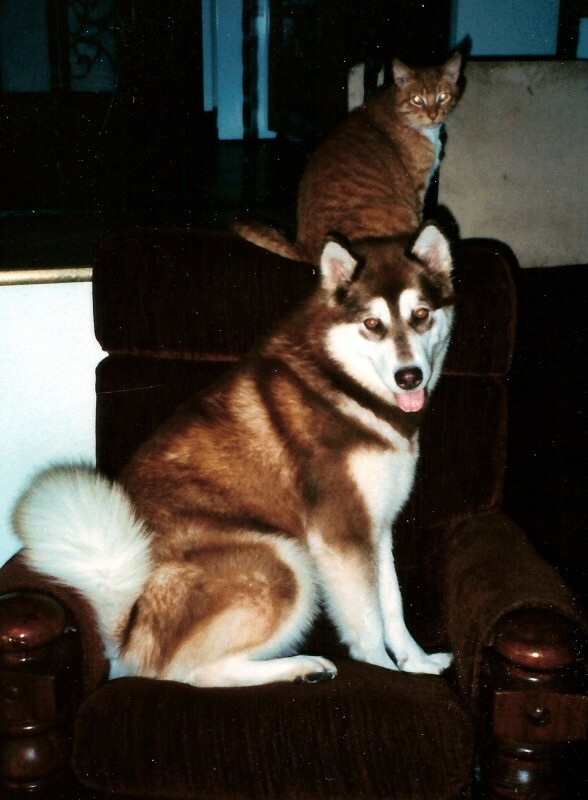 Kiana came to us from Williwaw Alaskan Malamutes. She was our second Malamute. Brent was so intrigued with her color - he just had to have her! She was our second show dog and we couldn't have picked a more challenging color to show! At the time we got her reds were not recognized in the AKC Malamute Breed Standard and there were no reds showing in our area, but Kiana showed everyone that "red heads" can have fun too! Kiana was a fun loving girl and we hope to some day have another beautiful red girl like her! Kiana with her buddy Macky. 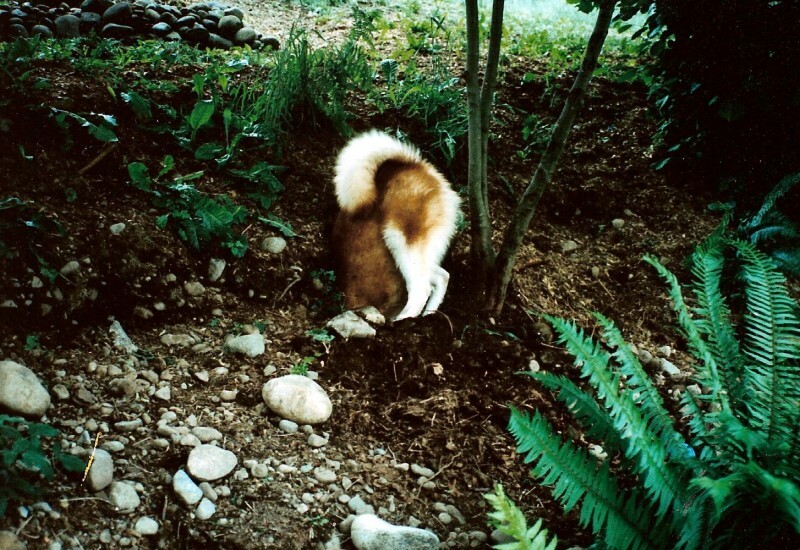 We are often asked if Malamutes dig. Yes, those rocks are from the hole Kiana is in!